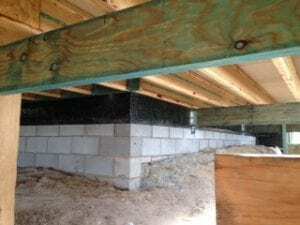 As a Brisbane Builder in Queensland you’ll require a Termite Barrier for New Construction whether a new home or renovation or Extensions that complies AS3660.1-2014 and form 16 on completion. The Pest Company Brisbane have the systems, the installers and the experience to handle just about every install. No job too big or too small. Offer Compliance with a Certificate of Installation AS3660.1-2014 and Form 16 and a meter box label. Our termite barrier work will be around long enough to ensure you as a builder are protected. 2. ALTIS TERMITE RETICULATION SYSTEM – Altis has been around for 50 years, works extremely well, we also provide chemical injection to the Altis system using a Non Repellent chemical to ensure protection of the areas we treat. 3. Chemical Barriers in Queensland used during construction require a reticulation System as a combined system. Houses can be protected by chemical soil barrier as a sole stand alone treatment in QLD, but not during new construction AS3660.1-2014. Combing the Altis Reticulation system and a registered chemical will provide adequate protection as per AS3660.1-2014 in certain situations. All reticulation systems are recommended to be refilled within three years of installation, however The Pest Company will at all times use a chemical that has a life expectancy of 5 years as indicated on the chemical label. There are additional options to install chemicals with a life expectancy of 8 year on existing lines that require a refill. All Barriers installed by The Pest Company in Queensland come with a Certificate of Installation in accordance with AS3660.1-2014, plus 2 x Durable Labels and a Form 16. The Pest Company Brisbane install termite management systems to protect New home and Extensions from Termites. Termite Barriers and Termite Inspections in Brisbane areas are an essential requirement for the protection of all new properties.